I’m way out of my comfort zone with the bright colours I’ve used for this card! The images are from the Altenew Persian Motifs set which I finally managed to get hold of last week after waiting what seemed like ages for them to come in stock over at Make the Day Special. I’ve used Zig Clean Colour watercolour pens, without diluting them, on Crafters Companion watercolour card and the layout is based on the current sketch over at Case This Sketch. 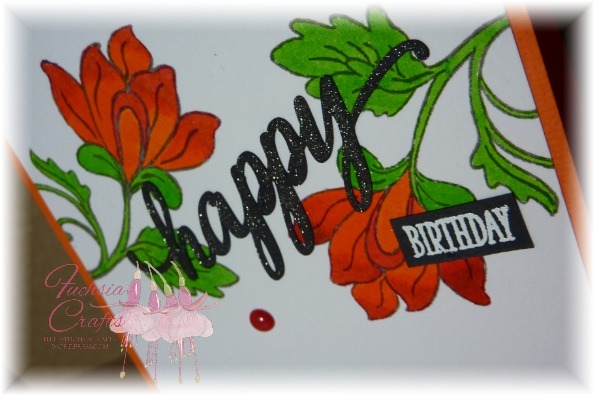 When I’d finished painting the image I was tempted to tone down the finished card by using a more neutral card but I didn’t have any that matched, so I was forced to go with the bold option of bright orange card by American Crafts as a base. 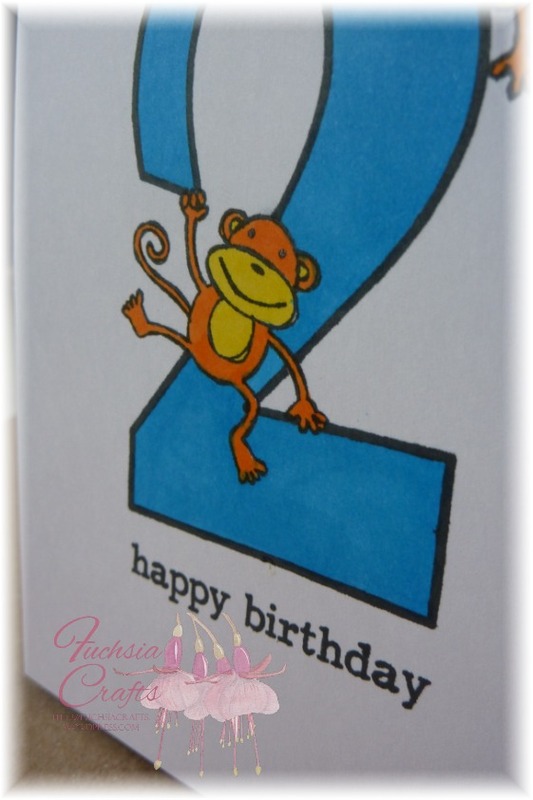 I then stumbled across a free “happy” cutting file to use with my Sizzix Eclips which fitted with the sketch perfectly. 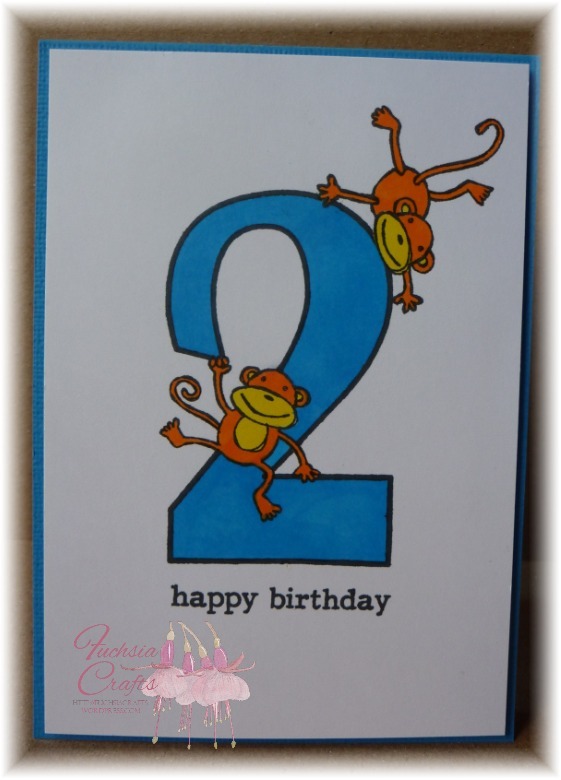 A touch of Wink of Stella turned the boring black card into glittery cardstock. A stamped, embossed word from the Many Mini Messages stamp set from Clearly Besotted finished the greeting but I felt the card was still lacking something, so I added a few Doodlebug sprinkles to fill up a little bit of white space. 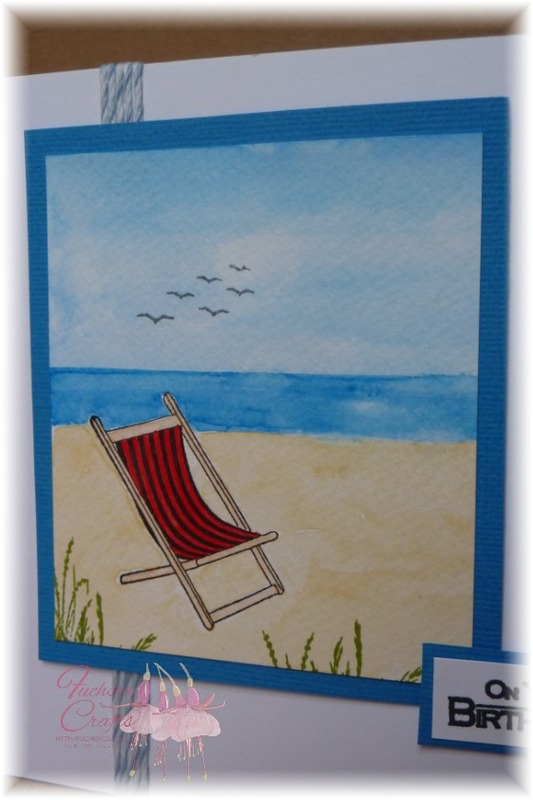 This card is for a good friend who loves the sea. I stamped and painted the scene some time ago when I was playing with my watercolour paints so I can’t remember which colours I used. 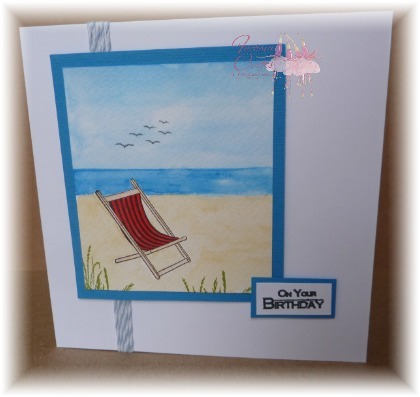 I CAN remember that the deckchair stamp came free with a magazine, the plant and bird stamps are by Inkylicious. When it came to completing the card I liked the simplicity of the sketch over at Freshly Made Sketches so I decided to play along. 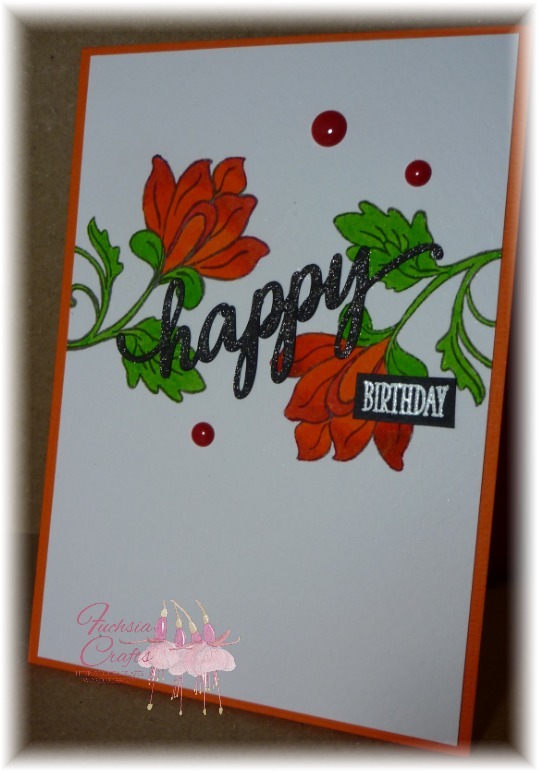 The greeting stamp is by Anna Marie Designs, stamped in Memento Tuxedo Black.